Loyalty is all about staying true to a vision. It might mean standing up for what you believe in, or sticking with the best option because it’s what works for you. To Craig Underwood, Sam Duboc and Rob Gierkink, loyalty meant giving something back to consumers who found a favourite retailer and stuck with it. It meant giving someone a little something back for forming a routine. So those young entrepreneurs jammed desks together in a small Toronto hotel room, gathered around a single computer, and founded Loyalty Management Group Canada back in 1991. Those three wanted to ditch the then-typical loyalty experience that was tied to a single retailer, so they brainstormed. The idea for multi-retailer loyalty came to them and it quickly took off—literally. In 1992, the company launched Air Miles, entering the daily lexicon of Canadians across the country as two million users picked up the program in its first six months. 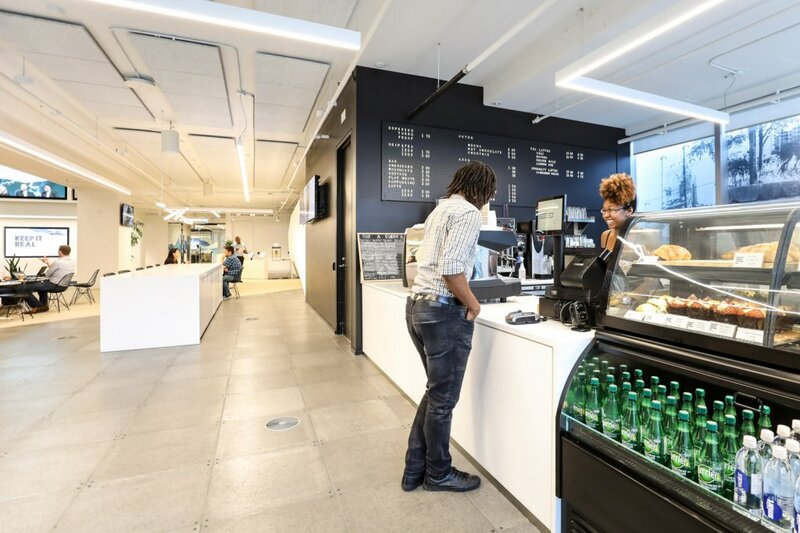 Loyalty Management Group Canada caught the attention of Alliance Data, who acquired the Toronto company in 1998 and switched the name to Alliance Data Loyalty Services. The three founders eventually parted ways with the company, and as the company began to grow, it developed a distinct focus on three key capabilities: coalition loyalty, customer analytics and custom loyalty services. To better focus on those, the platform rebranded as LoyaltyOne Co. in 2008. Bryan Pearson took over as president and CEO in 2007. 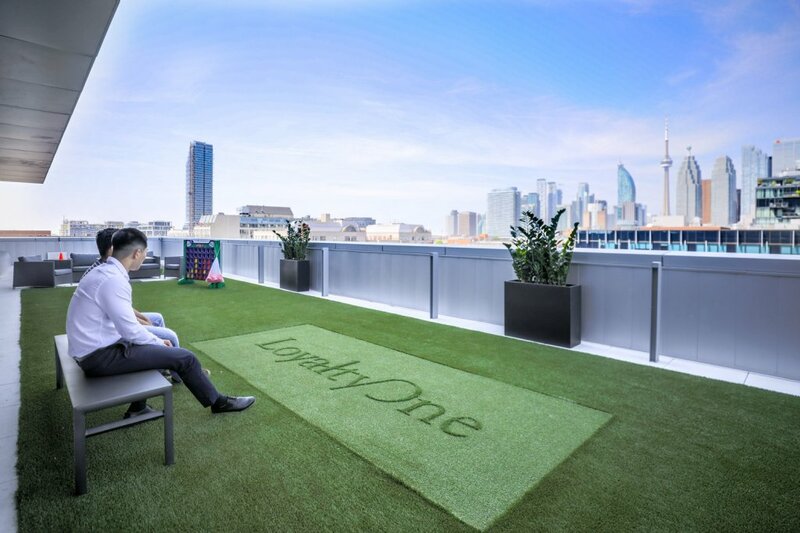 Now at 1,500 employees strong around the world, LoyaltyOne is the global leader when it comes to designing and implementing loyalty programs and services. The company operates some of the leading customer-centric solutions in the world, such as Precima, their global retail strategy and analytics arm; the Netherlands-based BrandLoyalty; and a working partnership with Latin America’s leading coalition program, dotz. Oh, and Air Miles, of course. In terms of what’s happening at home in North America, all you have to do is think of the stores you visit every week. There’s a good chance they have all worked with LoyaltyOne, including the LCBO, Cineplex, Shell, Coca-Cola, Loblaw and Unilever. Whoever said loyalty points don’t go as far nowadays? 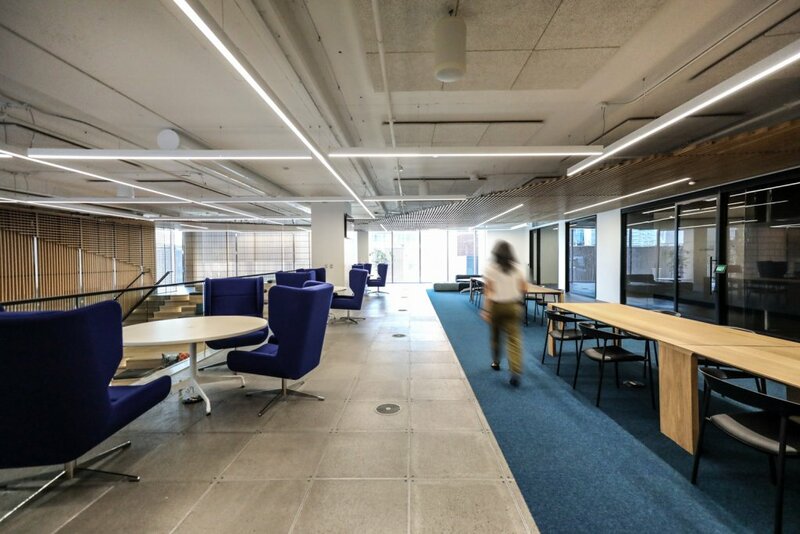 LoyaltyOne moved offices in August 2017 into a new build and spared no expense to give their employees the office of the future. 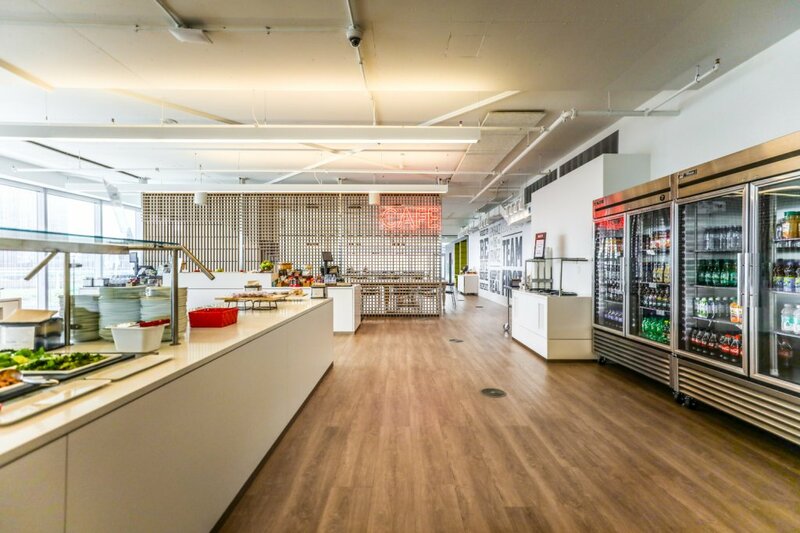 Gensler designed the 200,000 square-foot space to combine innovation, collaboration and culture into one functional workspace. 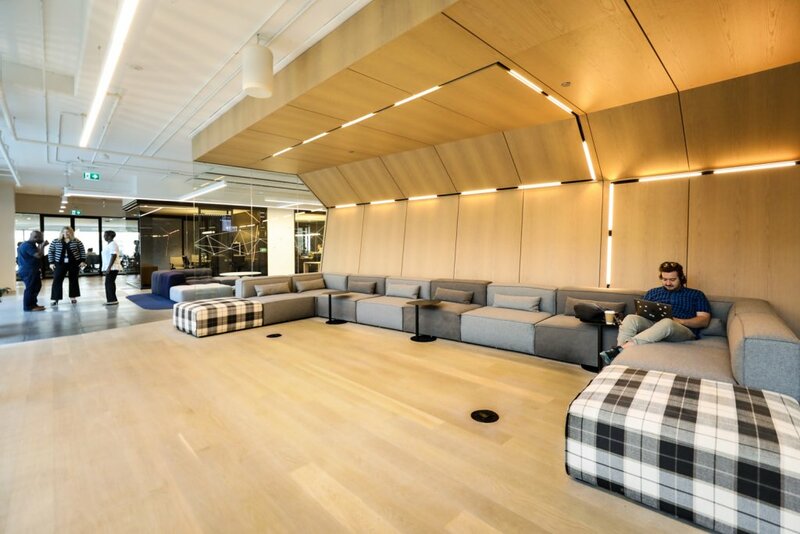 The office was not a typical design job either—to get the best results, LoyaltyOne interviewed employees, performed camera journalling, held focus groups, analyzed high activity areas and more, finally settling on an activity-based workspace with a 1:1.25 sharing space ratio. 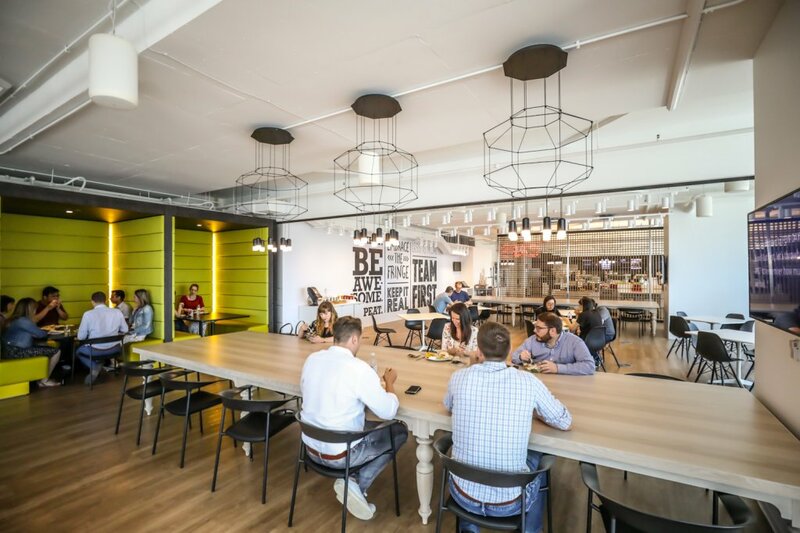 The workplace attitude is fuelled by four guiding principles. First is to plan for a variety of experiences, as employees thrive on choice, balance and focus. 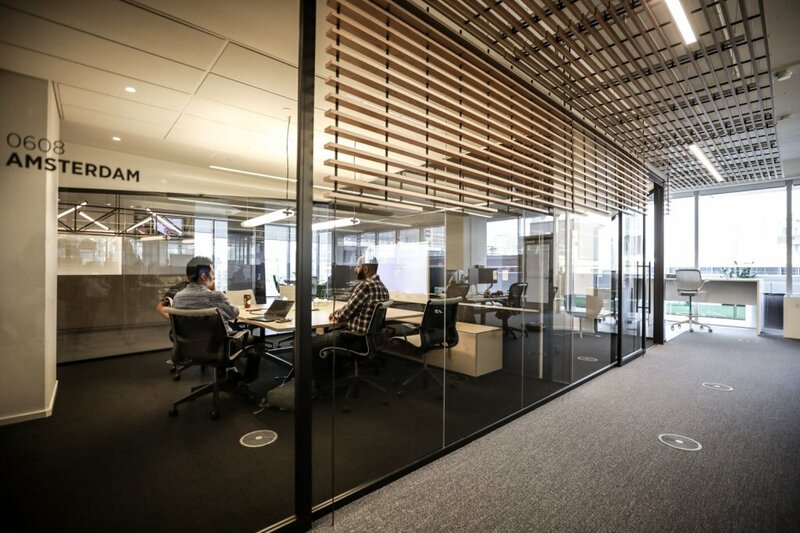 That could mean taking a phone call in an isolated booth, heading to a shared meeting room to dissect it, then taking in a company-wide event in the atrium. Second is to support a tech-savvy culture, which means state-of-the-art communications throughout the office. 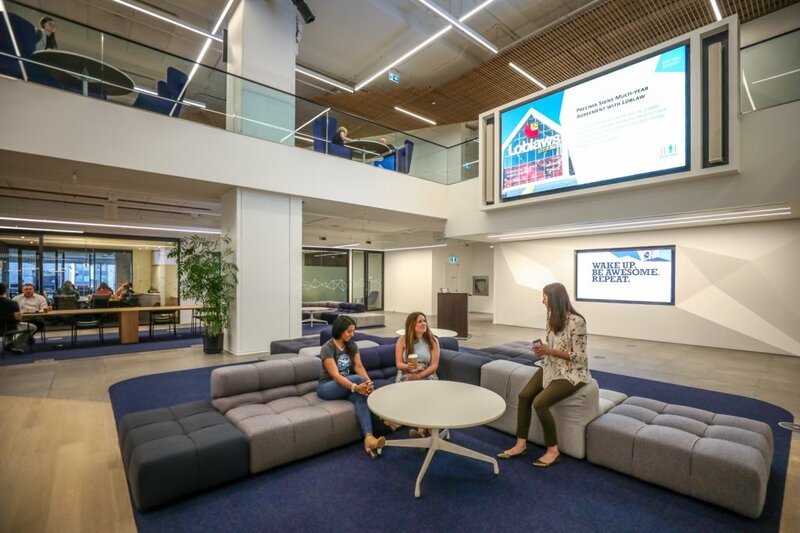 The third principle is to integrate health and wellness into every aspect of the office, and fourth is to find the key ways to reinforce the LoyaltyOne brand—that means being felt before being seen, achieved through a carefully crafted reception and environmental graphics program. If employees want to grow their skills, in-house hackathons and training programs are available as well, along with mentoring services. 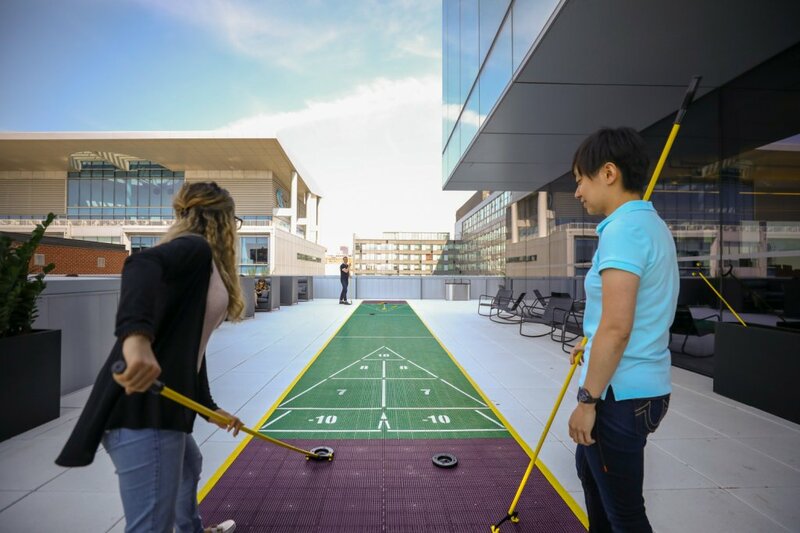 LoyaltyOne also gives each worker $3,000 each year in tuition reimbursement if they want to learn something new outside the company. 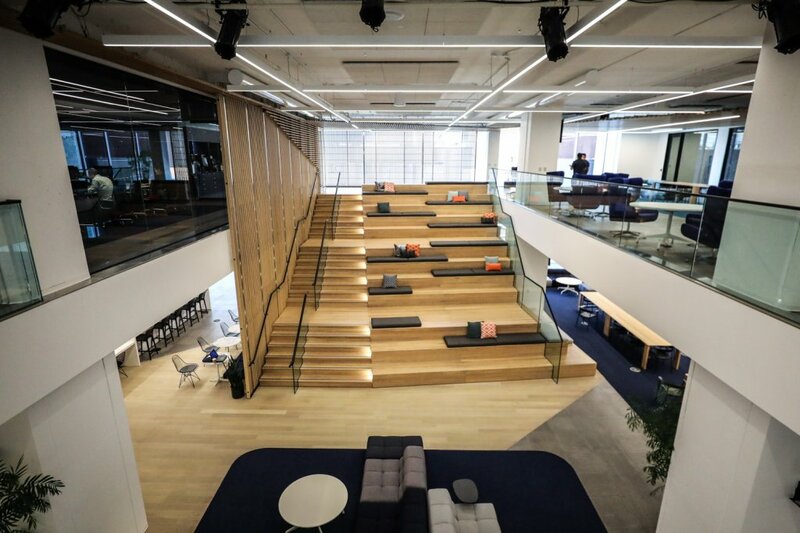 “Our vision is an office of the future that reflects our culture, values and brand—and makes associates proud to work here.” – Bryan Pearson, CEO. 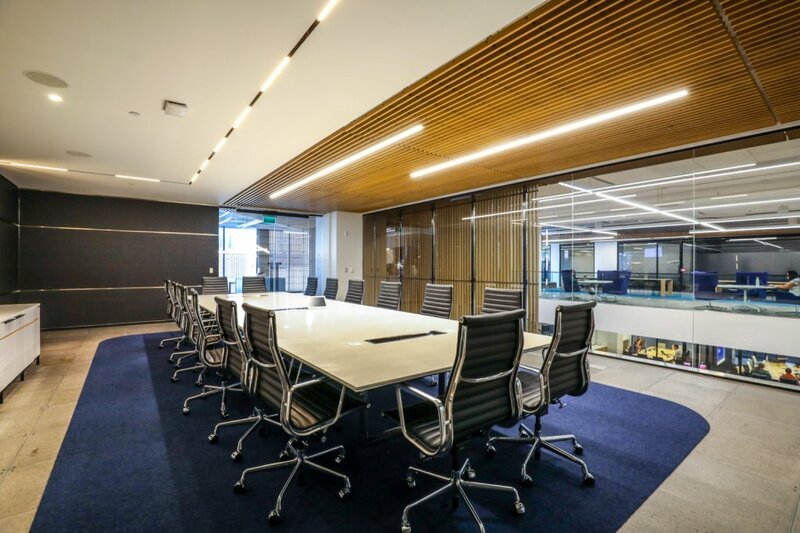 The 80-plus meeting rooms are named after global cities. 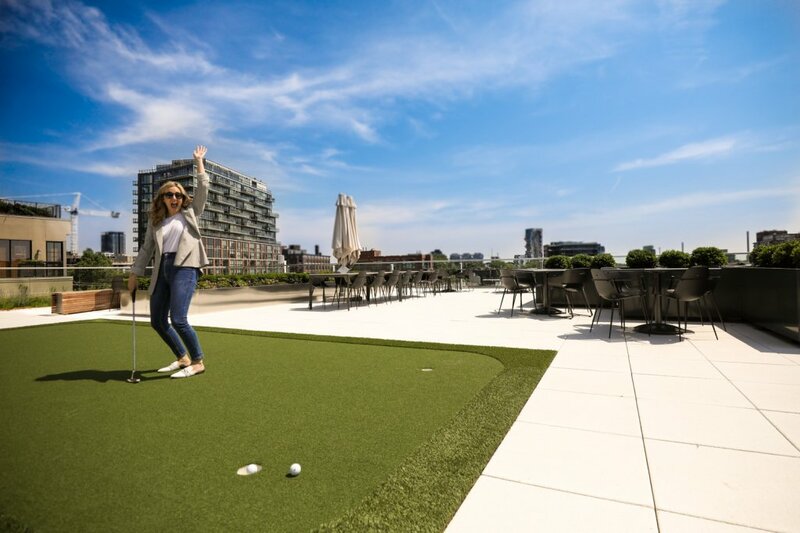 Creating and maintaining some of the largest loyalty programs in the world can work up an appetite, so LoyaltyOne makes sure to keep their team well-fed. The onsite eatery—dubbed “The Berkeley Kitchen” after the 200-year-old mansion found during construction of the office—offers breakfast and lunch each day. 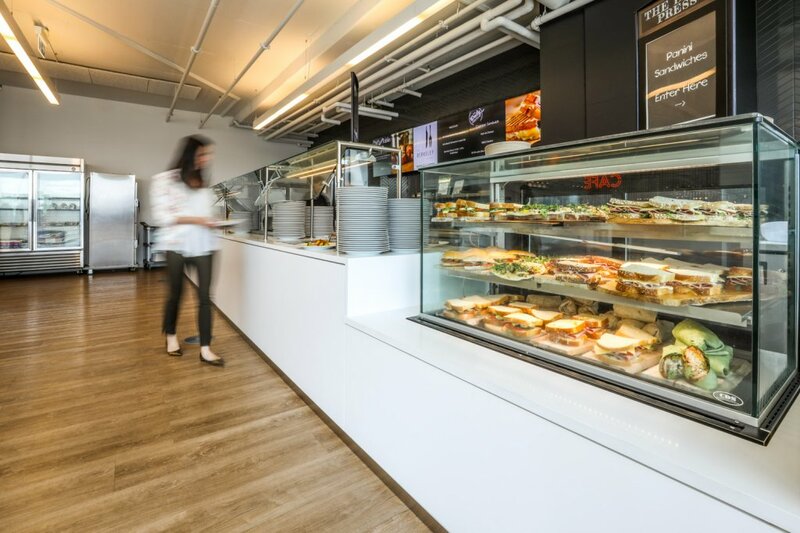 There’s a healthy hot meal station, a sandwich bar, a salad bar, soups, snacks and even some outdoor BBQs tossed into the mix for good measure. The food is locally sourced and embraces all cultures and people, just like the programs LoyaltyOne creates. On any day you can find vegan, low sodium, and gluten-free options, and all meat is certified halal. Of course, every office runs on good coffee, and LoyaltyOne is no stranger to the good stuff. Their on-site Taddle Creek Coffee Co. barista bar is named after a creek that used to run through the area and has its own brand of beans (created with the help of local roasters Propeller) to please both the early-morning sippers and mid-afternoon energy-seekers. The TeaBot serves up 18 types of tea for those who want to mellow out a bit as well. The motto at LoyaltyOne goes like this: “Wake up. Be awesome. Repeat.” The employees are so passionate about their work that many of them contributed to the company’s new associate manifesto, the Promise of Passion. It tells the story of what life at LoyaltyOne is like, from those who actually work at and enjoy their time at the office. Culture is defined in five key terms: Passion, curiosity, authenticity, collaboration, and simplicity. Each of these five tenets come with their own mottos and are reinforced through artwork in each LoyaltyOne office, encouraging the team to “play for the name on the front of the jersey,” as the collaboration aspect focuses on. Not the worst view in the city, that’s for sure. 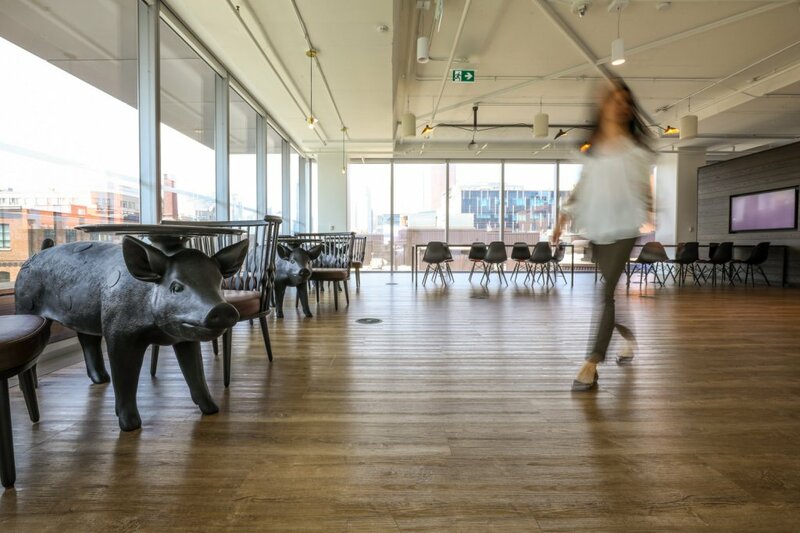 Employees can eat lunch at these pig-nic tables. Wellness is a big part of LoyaltyOne as well. 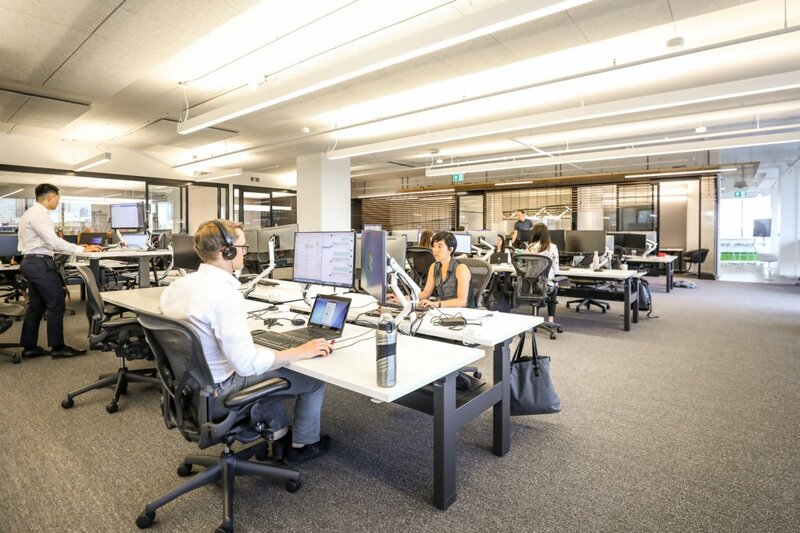 There is a distinct focus to encourage employees to move around throughout the day, and with that mentality comes a gym subsidy as well as a meditation room and prayer area to keep workers fit in body and soul. 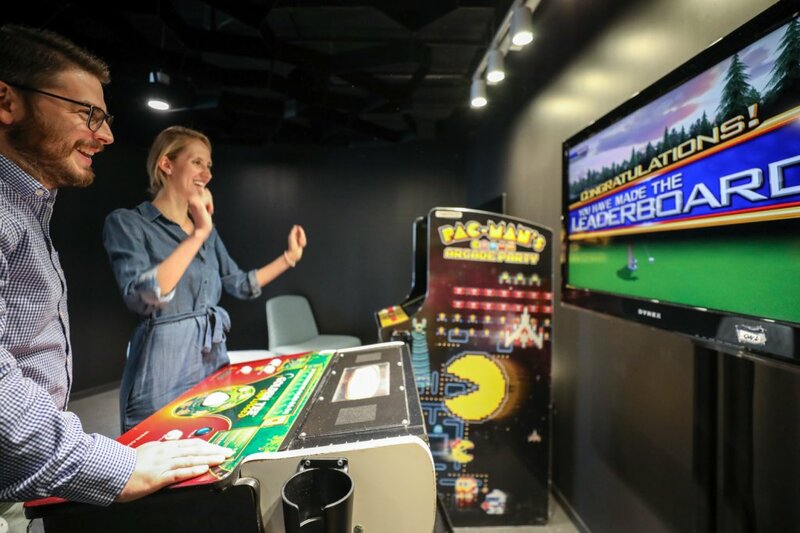 Those aren’t the only perks though, because as you would expect, working at a company that focuses on loyalty means good things for dedicated employees. Need to get around town? Borrow a metro pass from the company or even take out a car from the sustainable autoshare fleet. Workers get two extra “loyalty” days off each year, along with special summer hours. 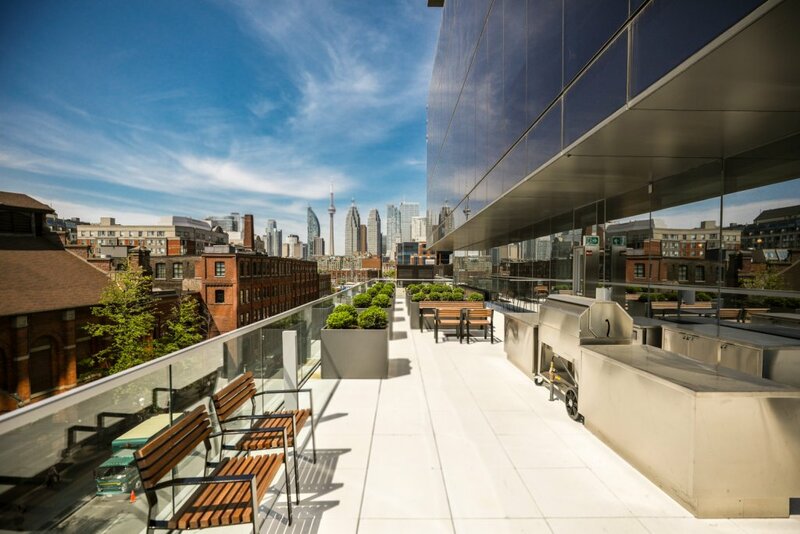 The office has showers, massage therapy, a games room, three patios with jaw-dropping views, and even a complimentary shuttle that runs every 10 minutes to Toronto’s main train and commuter station. LoyaltyOne likes to focus on peers recognizing peers, so their Pass it On program lets employees officially recognize colleagues—and that, of course, comes with Air Miles rewards points. The President’s Circle Award is another intra-office recognition program that rewards excellent workers with an all-expenses-paid weekend trip along with four extra vacation days and more. If the working culture wasn’t engaging enough, LoyaltyOne knows how to throw down as well—as partiers and community activists. The team runs the Marathon of Sport, walks dogs, plants trees, and continually supports their Good Food Machine, a program that teaches students to adopt healthier habits into their lives. Add on employee-led committees like the Women’s Leadership Initiative and the Working Parent’s Group, and workers at LoyaltyOne can rest knowing they’ve made a difference in the world. But sometimes rest is overrated, so LoyaltyOne looks out for those who want to let their hair down as well. Their town halls often feature industry-leaders such as Chris Hadfield and their company fun days include concerts from the likes of The Arkells. 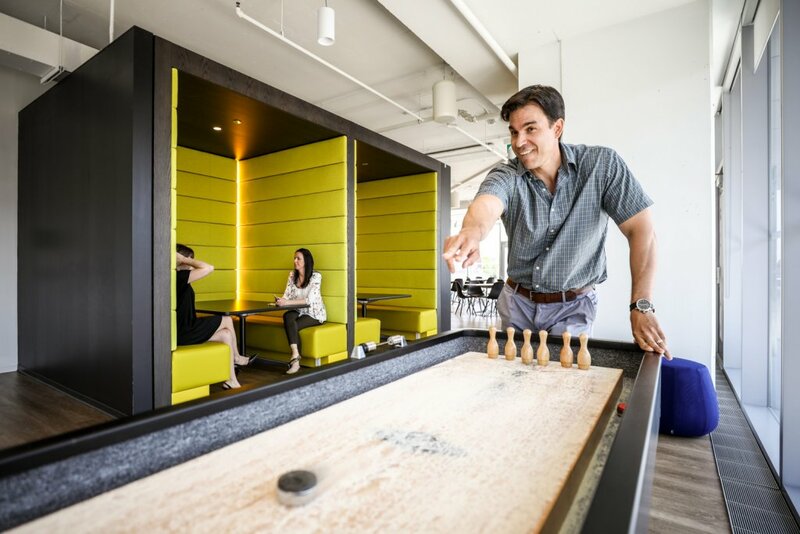 Every other Friday, the beer and wine taps provide liquid joy as teams get together to blow off steam. Recently, the company held a music festival-themed bash, bringing in food truck food and giving away 40 concert tickets to employees.